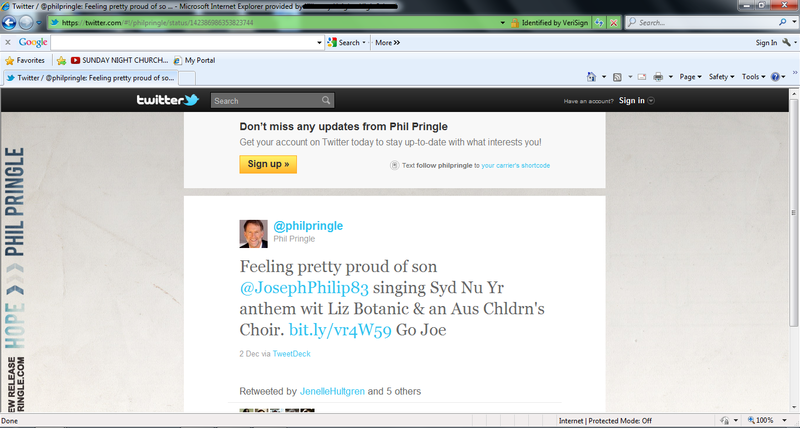 It is important that we understand who Phil Pringle chooses to be associated with. 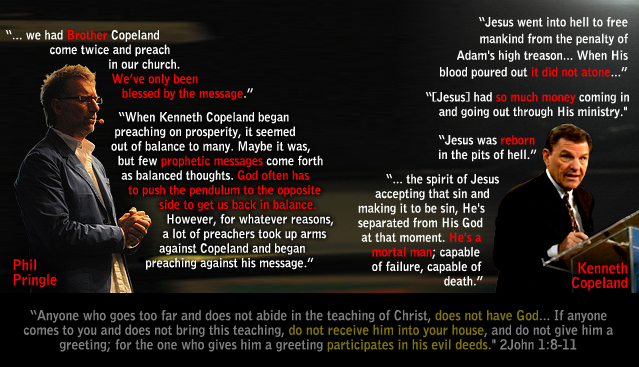 Does Phil Pringle receive teachers who do “not abide in the teaching of Christ”? Does he endorse them? Sadly Phil Pringle endorses and supports many false ministries and teachers like the ministry of Kenneth Copeland. Kenneth Copeland is a key player in the prosperity movement or ‘Word of Faith’ cult. It is men like Copeland that have given rise to dangerous heresies, endorsing gnostic/occult teachings and cult-like methodologies in the C3 Church movement. Unfortunately, people like Phil Pringle have fallen victim to these men’s false teachings. So how does Pringle see Kenneth Copeland? Pringle considers Copeland as a brother and prophet and defends Copeland ministry from other pastors. 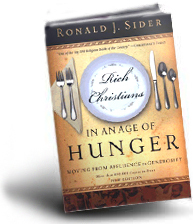 “When Kenneth Copeland began preaching on prosperity, it seemed out of balance to many. Maybe it was, but few prophetic messages come forth as balanced thoughts. God often has to push the pendulum to the opposite side to get us back in balance. 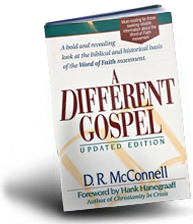 However, for whatever reasons, a lot of preachers took up arms against Copeland and began preaching against his message.” – Phil Pringle, You The Leader, 2005, pg 140. Pringle also says ‘Brother Copeland’ has spoken in his church twice. “I have a simple philosophy of “rolling with the punches.” This takes the heat out of a lot of the punches we take. I simply rolled with what a lot of others thought was a threat to the local church. In fact we had Brother Copeland come twice and preach in our church. We’ve only been blessed by the message.” – Phil Pringle, You The Leader, 2005, pg 141. Must we remind readers that Pringle still promotes this book today. Since Pringle references Copeland in his book on leadership, (You The Leader), reveals Pringle sees Kenneth Copeland as a leader. WHAT IS WRONG WITH KENNETH COPELAND? Kenneth Copeland preaches a different gospel message, a different Jesus and a different spirit among a number of other heresies. This isn’t too hard to prove. “You’re all God. You don’t have a God living in you; you are one! … When I read in the Bible where God tells Moses, ‘I AM,’ I say, ‘Yah, I Am too! '” – ‘The Force of Love,’ Kenneth Copeland, tape BBC-56, 1987. “Now Peter said by exceeding great and precious promises you become partakers of the divine class. All right, are we gods? We are a class of gods!” – Kenneth Copeland, ‘Praise The Lord’ TV Show, , 05/02/1986. “You are not a spiritual schizophrenic — half-God and half-Satan — you are all-God” – Kenneth Copeland, Now We Are in Christ Jesus, 1980, pg. 16-17. “He [Adam] was not subordinate to God … [but] was walking as a god with the authority of a god. … What he said went. What he did, counted. [And when he] bowed his knee to Satan and put Satan up above him, then there wasn’t anything God could do about it, because a god had placed [Satan] there.” – Kenneth Copeland, The Force of Love, tape #02-0028. “God’s reason for creating Adam was His desire to reproduce Himself. I mean a reproduction of Himself, and in the Garden of Eden He did just that. He was not a little like God. He was not almost like God. He was not subordinate to God even. … Adam is as much like God as you could get, just the same as Jesus. … Adam, in the Garden of Eden, was God manifested in the flesh.” – Kenneth Copeland, Following the Faith of Abraham I, audiotape: #01-3001, Side 1, 1989. “All of God’s attributes and abilities were invested in Adam.” – Kenneth Copeland, The Authority of the Believer IV; Tape #01-0304. 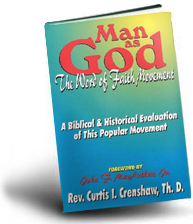 “You see Adam was walking as a God, Adam walked in God’s class, Adam did things in the class of god’s, hallelujah…” – Kenneth Copeland, Following the Faith of Abraham, Tape #01-3001. “Pray to yourself, because I’m in yourself and you’re in Myself. We are one Spirit, saith the Lord.” – Kenneth Copeland, “Believer’s Voice of Victory”, Feb. 1987, pg. 9. “When we use the spiritual laws that God has set up, God must obey what we request.” – Kenneth Copeland, Praise the Lord, TBN, 05/02/1986. And teaches God is incompetent unless we give Him invitation to use us. “God cannot do anything for you apart or separate from faith.” – Kenneth Copeland, Freedom from Fear, KCM, 1980, pg. 11-12. “What you are saying is exactly what you are getting now. If you are living in poverty and lack and want, change what you are saying…. The powerful force of the spiritual world that creates the circumstances around us is controlled by the words of the mouth.” – Kenneth Copeland, “The Laws of Prosperity, Ft. Worth: Kenneth Copeland Publications, 1974. “You have the same creative faith and ability on the inside of you that God used when he created the heavens and the earth.” – Kenneth Copeland, ‘Inner Image of the Covenant,’ side 2. “God used words when He created the heaven and the earth… Each time God spoke, He released His faith — the creative power to bring His words to pass.” – Kenneth Copeland, The Power of the Tongue, (Fort Worth: KCP Publications, 1980), pg. 4. “I was shocked when I found out who the biggest failure in the Bible actually is… The biggest one in the whole Bible is God… I mean, He lost His top-ranking, most anointed angel; the first man He ever created; the first woman He ever created; the whole earth and all the fullness therein; a third of the angels, at least – that’s a big loss, man…. Now, the reason you don’t think of God as a failure is He never said He’s a failure. 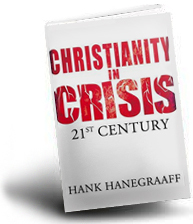 And you’re not a failure till you say you’re one.” – Ken Copeland, Audio-Clip “Christianity in Crisis,” Hank Hanegraaff. Copeland teaches Jesus was rich and His death did not atone for our sins and that Jesus became demon possessed or satanic on the cross. “It takes money to preach the gospel. Jesus Himself knew that, and contrary to what some people think, His ministry was not a poor one. He had so much money coming in and going out through His ministry that He had to appoint a treasurer. His name was Judas.” – Kenneth Copeland, From Faith to Faith – A Daily Guide to Victory, 05/12/?. “It would have been impossible for Jesus to have been poor!” – Kenneth Copeland, Calvary Contender, 15/02/93. “Because his physical death was not enough for the payment of sins there was a another way for sins payment. Jesus put Himself into the hands of Satan when He went to that cross, and took that same nature that Adam did [when he sinned].” – Kenneth Copeland, The Incarnation, Frt. Worth: Kenneth Copeland Ministries, audiotape: #01-0402, Side 1, 1985. “JESUS “HAD TO GIVE UP HIS RIGHTEOUSNESS” – Kenneth Copeland, The Incarnation, Frt. Worth: Kenneth Copeland Ministries, audiotape #01-0402, 1985, side 2. “He [Jesus] allowed the devil to drag Him into the depths of hell….He allowed Himself to come under Satan’s control…every demon in hell came down on Him to annihilate Him….They tortured Him beyond anything anybody had ever conceived. 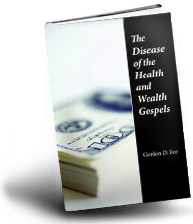 For three days He suffered everything there is to suffer.” – Kenneth Copeland, The Price of it All, pg. 3. “When Jesus was made to be sin; He was separated from God. This is the reason while hanging on the cross, Jesus cried out with a loud voice, “My God, My God, why hast thou forsaken me?” He had finished the Abrahamic Covenant by becoming the last sacrifice to ever be offered. When His blood was poured out, it did not atone, it did away with the handwriting of the ordinances that were against us. Jesus spent three horrible days and nights in the bowels of this earth getting back for you and me our rights with God.” – Kenneth Copeland, From letter to CRI, March 12, 1979. “Because his physical death was not enough for the payment of sins there was a another way for sins payment. Jesus put Himself into the hands of Satan when He went to that cross, and took that same nature that Adam did [when he sinned].” – Kenneth Copeland, The Incarnation, Kenneth Copeland Ministries, audiotape #01-0402, 1985, side 1. “Jesus death on the cross was not enough to save us.” – Kenneth Copeland, What Happened From the Cross to the Throne?, Tape #00-0303), Believer’s Voice of Victory, September 1991. “It wasn’t the physical death on the cross that paid the price for sin … anybody could do that.” – What Satan saw on the day of Pentecost, Tape #02-0022. We can conclude that he does not know Jesus, the gospel and the atonement. And I begin to see what had gone on in there, and I said, ”Well now you don’t mean, you dare not mean, that I could have done the same thing?” He said, ”Oh yeah, if you’d had the knowledge of the Word of God that he did, you could’ve done the same thing, cause you’re a reborn man too.” – Kenneth Copeland, Substitution and identification, tape#00-0202, side 2. Faith is not a force. Faith in Greek is πίστις which is pistis. The basic definition of pistis is ‘trust’. However, Jesus is the OBJECT of our faith. Jesus is not only our faith but graces us with the faith to believe in Him through His Spirit (Galatians 5:22; Ephesians 2:8). This is done so the Spirit can keep us in Christ and to keep pointing us to Christ (John 16:7-15). Jesus’ name is also ‘Faithful and True’ (Revelations 19:16) and his cross has demonstrated the loving, living faithfulness of God. Jesus is alive and IS the substance of our faith in which we hope for. The point is – God does not NEED faith, He is faith and the source of faith on which we rely. In saying this, what is the spirit behind Copeland’s doctrines? His doctrines of Jesus, the cross, genesis, man and faith, can be traced to Gnosticism, New Age, through New Thought into the camp of the occult. Does this sound like teachings you would hear from the bible? “The force of faith is released by words. Faith-filled words put the law of the Spirit of life into operation.” – Kenneth Copeland, The Force Of Faith, Frt. Worth, KCM, 1983. “What you are saying is exactly what you are getting now. 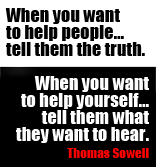 If you are living in poverty and lack and want, change what you are saying…. The powerful force of the spiritual world that creates the circumstances around us is controlled by the words of the mouth.” (The Laws of Prosperity, Kenneth Copeland, Ft. Worth: Kenneth Copeland Publications, 1974). – Kenneth Copeland, The Laws Of Prosperity, Frt. Worth, KCM, 1980. “Faith is a power force. It is a tangible force. It is a conductive force.” – Kenneth Copeland, The Force of Faith, Frt. Worth, KCP Publications, 1989, pg. 10. You can see Copeland’s teachings manifest Gnosticism as he does his best to explore the knowledge of his understanding of this unbiblical, creative, faith ‘force’. “Faith is a spiritual force….It is substance. Faith has the ability to effect natural substance.” – Kenneth Copeland, Forces of the Created Human Spirit, Frt. Worth, KCM, 1982, pg. 8. “The force of gravity… makes the law of gravity work… this force of faith…makes the laws of the spirit world function.” – Kenneth Copeland, Laws of Prosperity, Frt. Worth, KCP Publications, 1974, pg. 18-19. “Faith is God’s source of power.” – Kenneth Copeland, Forces of the Recreated Human Spirit, Frt. Worth: KCM, 1982, pg. 8. “Everything that you’re able to see or touch, anything that you can feel, anything that’s perceptive to the five physical senses, was originally the faith of God, and was born in the substance of God’s faith.” – Kenneth Copeland, Spirit, Soul Body, Frt. Worth: KCM, 1985, audiotape #01-0601, side 1. “Faith was the raw material substance that the Spirit of God used to form the universe.” – Kenneth Copeland, Authority of the Believer II, Frt. Worth, KCM, 1987, audiotape #01-0302), side 1. “God used words when He created the heaven and the earth… Each time God spoke, He released His faith — the creative power to bring His words to pass.” – Kenneth Copeland, The Power of the Tongue, Frt. Worth: KCP Publications, 1980, pg. 4. “Words are spiritual containers” – Kenneth Copeland, Forces of the Recreated Human Spirit, 1982, pg. 15; cf. 14. “The force of faith is released by words. Faith-filled words put the law of the Spirit of life into operation.” – Kenneth Copeland, The Force of Faith, Frt. Worth, KCP Publications, 1989, pg. 18. “The day that Jesus was crucified, God’s life, that eternal energy .. moved out of Him and He allowed the devil to drag him into the depths of hell as if He were the most wicked sinner who ever lived..[and] to come under Satan’s control .. [or] His body would have never died. …” – Kenneth Copeland, Believer’s Voice of Victory, [Quoted in Berean Call] September, 1991. It is clear to see that Copeland preaches a different gospel and a different Jesus under a different spirit not of gone. It is safe to say, judging by the bible that Kenneth Copeland disqualifies himself to be called a Christian. Therefore he is a false teacher and is sending people to hell with his false teachings and false prophecies. Even more importantly are the dates of the above quotes of Copeland. 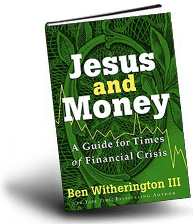 Pringle had him speak in C3 Brookvale in the 1990s and endorses him in his books in 2005. So after all Copeland has said and done and the criticism he has received, Pringle endorses him. One has to ask the questions: Why does Phil Pringle associate himself with Kenneth Copeland? Why does he call him brother and considers his messages prophetic? If pastors were preaching against him, why does Pringle endorse him and promote him? We have to come to a grim conclusion that Phil Pringle endorses Kenneth Copeland and “participates in his evil deeds” as the scriptures say. This is a serious evil Pringle has chosen to partake in. Why is this evil? I can personally give an example of this. I know a family who attended Christian City Church. They came to love Kenneth Copeland through Pringle’s association. 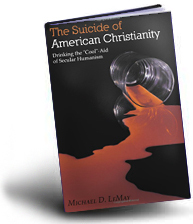 The mother took the Copeland’s teachings to heart and introduced his false faith teachings to her family. Their family started a church seperate from C3 who refered often to Copeland. The mother found out she had a fatal sickness and relied on her faith alone to heal her. She died causing much division in this church, troubling others and leaving behind a deep sadness when she passed away. In spite of her authoritative nature when it came to Copelands teaching on faith(which was frightening), she was very hospitable, gentle and inclusive. She was loved by all of us when she passed away. I had no idea that she found Copeland through Pringle’s endorsement of him. Would she be alive today if Copeland was not endorsed by Pringle? We encourage ANYONE who is moved by the grim facts about the spiritual status of Pringle and the C3 movement, to pray for them. Pray that he repents, turns away from Copeland and re-examines his theological understanding of the scriptures. We will examine Pringle’s theology and see how much Word of Faith teachers influence his theology. NOTE: We wish to thank LetUsReason and DeceptionInTheChurch for      helping us with part of our research efforts. We wish to leave more  quotes from Kenneth Copeland in the comment section for C3ChurchWatchresearch purposes. A subscriber to C3 Church Watch gave us some interesting insight to the Pringle’s beginnings. Below is an article of what C3 wants you to read about their beginnings. Read this to compare the differences of reporting between the events. Gary MacDougall has politely provided his insight and his testimony in that time period. Thank you Mr MacDougall for your honesty, work, time and integrity. I was born again about 35 years ago at AOG, Sydneham, Christchurch, New Zealand, in the seventies hippy era. The first ‘hippy’ type convert at the AOG Sydneham, Christchurch, where I was born again, at that time, was a guy called Leigh Hoskins. Leigh had a far more dramatic experience than myself or Phil and Chris Pringle of C3 Church, and all other converts who started coming. Leigh took me along to the AOG church, the night he was saved . In fact I had just returned from Auckland, doing a meditation course, and was waiting for a taxi at the Christchurch train station at about 7.15pm on a Thursday night, over 35 years ago, when Leigh drove by and stopped to talk to me. I had never met Leigh before but a mutual friend was with him in his little car. Leigh was on his way to AOG for the Thursday night young people’s meeting at 7.30pm. Leigh had the longest and thickest hair I have ever seen on a male (in real life and in photos) and this guy was really wild! Why would he be going to church? On the previous Tuesday night he took enough LSD to last 48 hours. As soon as his trip started he saw flames and demons around him and he thought he was in hell. However when he was a child he went to Sunday school and, at that time, his mother had been praying and fasting for forty days for his salvation. Leigh called out to Jesus as loud as he could at the beginning of his ‘hell experience.’ …”Jesus”, “Jesus”, ‘Jesus save me” he called out for help. His trip instantly stopped, when he mentioned the name of Jesus, which is obviously a miracle. He then rang the AOG church because his mother belonged to that denomination and she was attending another AOG church in the North Island. A deacon from the church told Leigh to go along on the next Thursday night which was the divine appointment whereby I met him i.e. two days after Leigh’s ‘hell experience.’ Leigh’s actually going to church was another miracle because the devil had two days to talk him out of it. Leigh was saved that night when we attended the young people’s meeting. By the way the conservative, young church folk at that time had never before seen anything like us guys up close with our long hair and hippy clothes. Leigh used to come round and talk to me about Jesus regularly and I could see that he was transformed. Leigh experienced a more dramatic conversion than myself, the Pringles or any others who followed. A church member bought him a whole new set of clothes when he was first saved and after about two weeks he had full haircut i.e. short back insides. He brought many people into our church. I was saved about three weeks after Leigh . It took many months for myself and Phil Pringle to get our hair trimmed and then only gradually. Although at the beginning I did have a clean shave and got rid of my beard. Phil had long hair for quite a while indicating that the inner transformation was slow. Leigh was quickly transformed in his heart and life. The church already had about 200-250 solid members when Leigh and I joined. Leigh was witnessing full time and effectively he was the catalyst for the revival at AOG , Sydneham. He was the original young evangelist of the church and because he had such a dramatic outward appearance change he was effective with his old friends. I believe the ’revival’ at AOG Sydneham began through Leigh Hoskins although others have taken credit for it. When saved I joined up with Leigh with evangelizing. When I was first saved for the first two years or so I spent about 5-6 hours per day praying and reading the word and then a few hours evangelizing and attending meetings at our church and others nearly every day of the week. I walked-no bicycle just walking. The Pringles were more upmarket than myself-they had bicycles. It used to take me about a 45 minute walk each way to church from where I lived with another couple of stronger Christian guys. Leigh and I witnessed to scores of people before Phil and Chris Pringle of C3 Church came to our church several weeks after I was saved and already young people were coming into AOG Sydenham. Phil and Chris personally didn’t bring large numbers in but the church was already starting to multiply. Leigh and I motivated Phil and Chris with evangelizing. However before we came along the church had a few really effective and dedicated personal evangelists, one of them being Morrie Tattle, a businessman who was the man who helped Leigh with his new clothes. The church also had a lot of serious prayer warriors and dedicated Christians. The prayer warriors were the key to the ‘revival’ but everyone forgets them and pat themselves on the back and blow their own trumpets. Whilst Leigh had a dramatic outward change it took some time before he was baptized and a couple of years to sort out his life towards normality. In my own personal case, if I said I was zapped the night I was saved, healed, delivered and baptized, I would be dead set the world’s biggest liar and con. It didn’t happen that way. God does NOT wave a magic wand. From a hippy type lifestyle one inherits many evil influences and even evil spirits. It took many months for me to be healed in my mind from the effects of drugs and about one year to be completely delivered. It took about one year before I was baptized and filled with the Holy Spirit. This is logical…because of my lifestyle I had some evil spirit possession. A Christian needs to be set free of this before being filled with the Holy Spirit. Physically I could not do any more, as I was praying and reading the word to the max…and also fasting a lot-up to 21 days. However God works in His way and own time to heal and release us. Basically there are no Hollywood style dramatic zappings. Our church wasn’t the only one with this sort of revival. Ray Comfort was saved at the same time in another church on the other side of town with a similar ‘revival’. The Elim church in N.Z. also experienced a revival at the same time. Peter Morrow’s New Life Centre had about ten times the number of people in their main church and it was experiencing growth as well. That church had some fantastic Christians with amazing testimonies as well. As I went to all the meetings in the years of the revival in our church I was there the night Phil and Chris Pringle of C3 Church were saved. Phil talks about the night he was saved and claims he was delivered and filled with the Holy Spirit and all his problems taken away that night. Anyone reading this would think it was a Damascus Road experience like the Apostle Paul. Wrong! The main deacon who counseled him that night told me personally that Phil was only counseled about salvation. I spoke to the Pringle’s after their salvation also that night and it was exciting they were saved but from my recollection nothing like what Phil describes in his book. I encouraged them to keep coming back and eventually after considerable time they had some deliverance and were filled with the Holy Spirit. In those days at our church ‘deliverance’ was not done the way Jesus did by just rebuking the devils. The deacons used to jump up and down shouting at the demons, pleading the blood and shaking you. I know first hand because I went through this sort of carry on myself. It usually took a few hours and was not instantaneous as in Bible days. Peter Driscoll and John Graham were the youth leaders and had been for a long time and were great Christian leaders in our church. They were also good teachers of sound doctrine. However the pastors of the church, the Barton’s, tried to push the Pringles into their position. It was like two young people’s groups contending for the new converts, within the church. This was one of the reasons the Barton’s were voted out of the church by the members. Also the members didn’t like the way the Bartons were focusing on the Pringles at the expense of the rest of the flock. The Bartons also used the Church’s money to buy a large house, called Hebron House, for the Pringles and new converts. There was a lot of flack about that , especially as the real estate agent was a member within our church. Hebron house eventually became a burden for the church and the church ditched it. Of Course the agent in the church sold it. Fortunately in my early Christian life I went to the sound teaching meetings of Peter Driscoll and John Graham and didn’t get led astray by the crazy stuff going on at Hebron House where the Pringles were operating. The Pringle’s could not teach sound doctrine to the new converts as they were only learning themselves. They had many problems themselves and were basically transferring that to new converts. If the new converts had been exposed to the sound teaching meetings of Peter and John they would probably be Christians today as most of the new Christians under the Pringle’s “ministry” at Hebron House, backslid. Also they had come from strong New age and hippy backgrounds and weren’t delivered from those influences at the time. The effectiveness of the Pringle’s early ‘ministry’ is highly debatable as most of their ‘disciples’ drifted by the wayside. Even their best friends and first converts, Wayne and Anne Tyndale dropped out after a couple of years and the last I heard several years ago they were still backslidden. The Pringles were a big factor in the split of the church when the Bartons and Pringles left. The Pringles influenced most of the young people to leave as well but I stayed at the church until many years later and then I moved to Australia. In fact the split caused by the Pringles and Bartons, also caused John Graham and Peter Driscoll to leave the church as well, which was a pity. The scenario with the Pringles and Bartons sent the church into turmoil and it took about a year to stabilize. Fortunately in my early Christian life, I met an elderly Christian man, similar to Job in the Bible, who lived next door to where I was living. 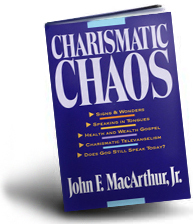 He helped stabilize my Christian life while the disruptions in the church were occurring. For 2-3 years I used to go to his house for a couple of hours at a time for extra bible study. He was house bound due to sickness and I was his only visitor apart from his son who visited maybe twice a year. No-one from his church visited him. I also had regular spiritual support from a strong Christian couple and from time to time even scored a lift by car to and from church. That was great because it saved the 45 minute walk each way. But the downside was I couldn’t witness when going by car, like I could when walking. During this time I was living by faith. The Pringles and other new converts at Hebron House had their needs supplied by the church, which funded everything for the house group. Maybe at this stage the Pringles realized you could live off the church and even make money through it. I had to daily believe God for my needs and of course he provided. I did not have to bludge money out of the church. God was my source. In fact I never had any support from the church. God miraculously provided. When my elderly neighbour died I stayed with the elderly deaconess of our church in a self contained flat under her house on the hill overlooking the city. By then I had progressed to a bicycle and used to bike all around the city delivering tracts which I produced and paid for myself. My first tract, which I had printed about the time the Pringles were saved, was a black and white one called “Hippie redeemed from Destruction” with before and after photos of myself. I think I had about 5,000 of those printed which I personally handed out. My next one was similar but with the title “Searching”, with the before and after photos. I maybe had 10,000 of those printed and I personally gave out. Then I did one with a red cover with the word “Revolution…” on the front. (this was the time of Chairman Mao). Inside as part of the “revolution…” I had “…of Love” and the story of God’s love. Then I had printed a four sided booklet in full colour titled “The Desert Shall Blossom as The Rose” with my testimony again. I had 25,000 printed and personally gave out each one. Then before I moved to Australia I printed a dramatic black and white with the words “IF you Died in the Next Two Minutes Where would you spend Eternity?” I printed enough for every single Post Office box in New Zealand and paid NZ post a fee to deliver. That one was very effective. Does Phil Pringle & The C3 Movement Exploit It’s Poor Members Financially? It makes perfect sense that the world would write a song like this. It’s catchy, motivational and appealing to the flesh. To a certain extent, we can see Christian themes through this song. However it is important to understand that Joe Pringle is seen in the C3 Movement and in other churches globally as an influential worship leader and teacher. So what is so concerning about Joe Pringle singing this song as a Christian teacher and worship leader? While Jesus tells people to make sure ‘the light within you is not darkness‘, Joe Pringle is reinforcing in non-believers that non-believers are ‘the light‘. This contradicts the fundamental teachings of Jesus and the Christian message, that all man is in darkness and is in need of a Saviour. Jesus is the only man that is not in darkness and is revealed in scripture as the only one who is the Light of God and the Light of The World. It is wrong for Joe Pringle to sing a song like this that opposes a foundational biblical truth to the Christian faith. If he believes what he is singing to be true about the spiritual state of Sydney then he is either ignorant, deceived or hypocritical. Is it not the desire of a worship leader to see people give glory to Jesus? Joe Pringle seems to think likewise (as does Phil Pringle). If Joe Pringle loves Jesus and considers himself as a disciple of Jesus, why is he not being obedient to God through Jesus, John and Paul’s instructions? Has Joe Pringle compromised his love for God by choosing the road of popularity? Joe Pringle is singing a message that would only cloud and confound believers and nonbelievers. He is confusing the message of the gospel that the church is meant to uphold and deliver with clarity. This is not of God. The Apostle John rightly exposes the antichrist spirit. The spirit behind the song Joe Pringle sung denies Jesus. 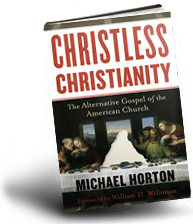 If fallen mankind is the light, why bother confessing Jesus Christ at all? Why is Jesus necessary to a world believing that their sin and darkness is light? The world will happily believe the lie that the darkness they are in is light to justify their darkness over the true Light of Christ. Joe Pringle and Phil Pringle failed to ‘test the spirits behind the song to see whether they are from God‘. It is sad to see these leaders who many believe represent the church, dilute the gospel message for worldly gain. They are partaking in the lie, denying that the world is in sin and claiming sinners are the light. As head of the C3 movement, Phil Pringle is endorsing a highly ungodly message sung by his son. Pringle has chosen to let this happen in his church. Phil and Joe Pringle are rejecting the message of Christ BEING the light to save sinners and only promoting a message that is against the light of Christ. They have sadly demonstrated in this instance that they are deceiving themselves. If led, please pray for Joe Pringle and Phil Pringle. May this NYE message not be a preview of what this year holds with the teachings in C3.